The Met Breuer in New York is a museum for contemporary and modern art. It is part of The Metropolitan Museum of Art in New York (The Met). The Met Breuer, along with The Met Cloisters, extends the extensive art program of the main Met building on Fifth Avenue. 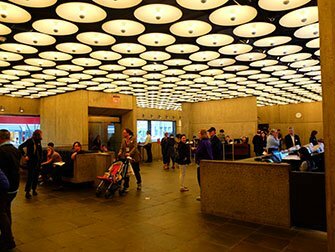 Located just a 15 minute walk from The Met, in a building designed by Marcel Breuer. Tickets to The Met include same-day admission to The Met Breuer, as well as The Met Cloisters. If you’re interested in modern art, The Met Breuer is definitely worth visiting. 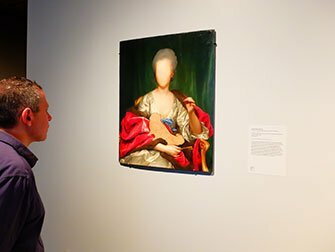 The Met Breuer houses a variety of exhibitions, which predominantly focus on 20th and 21st century art from over the whole world. The art program includes exhibitions, performances, residencies and educational initiatives. The museum also organises interactive programs, encouraging the public to explore art, architecture and design. I didn’t really know what to expect from this museum and was wondering if it would really be worth visiting. During my visit, it surprised me to discover the works of great names like Van Gogh and Da Vinci. If you love art and plan to visit The Met, I would definitely recommend adding this to your list. Eric’s Tip: It’s not possible to buy separate tickets for The Met Breuer. Admission is always included in a Met ticket. 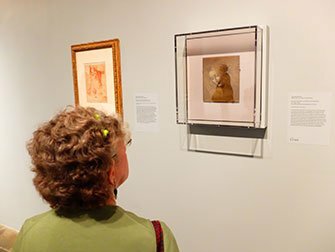 The New York Pass and the New York CityPASS include Met tickets which allow access to The Met, The Met Cloisters and The Met Breuer! Please note that these tickets include same-day admission. So plan ahead if you want to visit multiple Met locations. 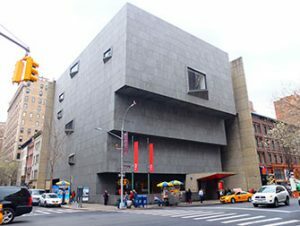 The Met Breuer building was formerly occupied by the Whitney Museum of Art (now relocated to Downtown Manhattan). They signed an agreement and leased the building to extend The Met art program. The five-storey building has galleries on the second, third, fourth and fifth floors. On the ground level, you can find a lobby gallery, a restaurant and a sunken garden. You can also visit Blue Bottle Coffee, on the fifth floor: a pop-up café that serves coffee and snacks.